I did this last year and I figured I should keep doing it, because, well, why not? Here I’ll take my favorite and standout individuals from directors, lead actors and actress, supporting actors and actresses and villains. We all have our favorites, and these are mine. This is of course my opinion. I tried to shorten the list as much as I could, but like last year, it was a bit too hard so I left the lists as such. Also, villains are considered Supporting Actors in other lists and some actresses who are considered Supporting Actresses in some might pop up as Lead Actresses if they have the efficient enough screen time and or are the only real female character in the film. Also it helps make the lists shorter, I want the villains to have their own category, because everyone loves a good villain right? Finally, everything and everyone will be in alphabetical order. This is also part one of two different lists, with the other being “Genre, Action/Fight Sequences and Special Effects”. Enjoy. Alex Garland is a well-known writer in Hollywood with films like 28 Days Later, its sequel, Sunshine and wrote the fan-favorite Dredd remake. So it was nice to finally see Garland step behind the camera and direct this great sci-fi film about Artificial Intelligence. It also helped that he got great leads in Oscar Isaac, Domhnall Gleeson, and a standout performance by Alicia Vikander. This film made excited to what he does next, which happens to be Annihilation. The Mission: Impossible films have always been a steady franchise, with the films somehow outdoing themselves and managing to still have great characters, story and action. McQuarrie adds another great addition of the franchise with some great sequences and solid performances to add to the strength of a franchise that doesn’t look to stop. Trevorrow did what very little people want to do in Hollywood: Do another Jurassic Park movie. However, Trevorrow did manage to create something that the other Jurassic Park sequels missed, a sense of wonderment and terror. Trevorrow is also pretty new to the scene so getting young blood to tackle an established and loved franchise was a great move by Universal Pictures and Legendary Pictures. George Miller returned to the Mad Max world nearly thirty years after Beyond Thunderdome. But, Miller didn’t lose his step and created, again, a great world of crazy looking cars, weird-named characters, and awesome car/action sequences. Oh what a lovely day it was. Definitely one of, it not, the best action film of the year. Guillermo del Toro has been one of my favorite directors since I first watched Hellboy (the first movie of his I saw), and since then del Toro has proven himself to everyone that he is one of the best visionary and visual directors in Hollywood. Crimson Peak does bring him back to the form of Pan’s Labyrinth and even some The Devil’s Backbone, but Crimson Peak is a whole other animal and del Toro managed to bring to life a beautiful, dark and twisted gothic love story. Wan mostly known as a horror director – with the exception Death Sentence, which had some horror elements – fills in the big shoes of director Justin Lin, who pretty much rejuvenated the franchise. Wan did a great job with the already huge established cast and characters, and managed to keep bringing the intensity and all-out mayhem that the franchise is known for. Of course, it wasn’t all easy. Wan had to deal with the tragic and unfortunate death of star Paul Walker, but made a beautiful tribute to the actor and character at the end of the film. Wan finished directing The Conjuring 2: The Enfield Poltergeist and will direct Aquaman next. If there was ever any doubt that J.J. Abrams would “mess” up Star Wars. He proved everyone wrong with The Force Awakens. Abrams embraced the future of the franchise and didn’t lean too much on the past films, and was able to bring some fresh, exciting and new. Joss Whedon did the impressive feat in bringing one of the most popular and biggest teams in comic book history to the big screen with The Avengers. So it was only fair that Whedon came back and made the film and characters bigger than before. The movie did have a lot going on, but Whedon bought his nerdy and quick-wit to the film that all comic book and Whedon fans can enjoy. Was it the greatest film, no, but it was still great to see. Directing a Shakespearian play film adaptation is a bit hard for a few reasons. Do you go with a straightforward iteration, a “modernize” take, or a blend of both? Kurzel decides to take a straightforward approach, but make is an atmospheric, gritty and visually artistic take on Macbeth filled with great performances by Michael Fassbender and Marion Cotillard. Matthew Vaughn pretty much made his own James Bond movie, with some injected humor and self-referencing to the genre. Vaughn really turned this graphic novel adaptation into something special and something I’m sure not many people, including myself, didn’t see coming, but welcomed it. Vaughn will direct I Am Pilgrim next. Peyton Reed had some big shoes to fill when long time writer and director of this adaptation, Edgar Wright, left the project right before the movie was about to start shooting. Many were worried about how the film would turn out and if Wright’s absents would affect the film, but we should know by now that we can always trust Marvel. Reed may have used some of the original script that was co-written by Wright, but he bought his own vision as well and managed to create not only a good comic book movie, but a great action family drama film. As much as I don’t like how Tarantino acts about himself sometimes, I can never take, nor will take, anything away from his talent as a director. He can clearly handle himself with a big and star-studded cast, and The Hateful Eight is no different. Tarantino takes a much more condense setting and fills it with, well, hateful and untrusting characters before it all blows to hell. Some, okay many, would argue that Scott has been in a slump recently, and some felt that The Martian could be his way back to the director that many fell in love with. Lucky for us, the film was that indeed. Scott managed to balance the film out and bring some of the great aspects of the novel to the big screen. Let’s hope he keeps the ball rolling. Ryan Coogler could have really messed this up, but what Coogler did with Creed was nothing short of greatness. Creed pays a lot of respect and homage to the original but Coogler also made his own film that works as a continuation but also a standalone film. Benicio Del Toro is one of those actors that has always given awesome and consistent performances, but also seems to be underappreciated and overlooked, which is a shame. However, Del Toro seems to be enjoying more of limelight recently with roles like The Collector in Guardians of the Galaxy, and this role in Sicario. Del Toro is absolutely great in this and honestly give one of the best performances of the year. Let’s face it, Colin Firth is probably one of the last people you’d thought you see play an action hero. Well, surprise, because Firth totally nailed the James Bond-like action badass character and if not then you have to watch the church scene again. Harrison Ford showed up! Ford doesn’t phone it in and looked like he enjoyed himself playing one of his biggest characters. Ford didn’t lose a step playing Han Solo and seeing him around the new cast of characters was awesome to experience. Kid characters are always hit-and-miss. Sometimes they come off as annoying or too smart for their own good. Other times they come off as genuine and give a great performance, thankfully Jacob Tremblay as Jack in Room falls in the latter. There was something so naïve and touching about Tremblay playing a kid that essentially grew up in a room and knows nothing about the outside world. It adds even more to the performance that he holds his own and even steals scenes from his co-star Brie Larson. Take note of Jacob Tremblay’s name, because this kid has a future. Jason Mitchell became a household name after his terrific performances and easily one of the best ones of the year playing famous hip hop and rap star Eazy-E in Straight Outta Compton. Mitchell really embodied Eazy-E and bought every emotion to the forefront and was able to hold his own and steal scenes from Paul Giamatti. I’m not the biggest fan of Johnny Depp, the crazy-wacky character actor (although I enjoyed Jack Sparrow in the early films). I like Johnny Depp, the serious character actor. Depp’s performance as famous mobster James “Whitey” Bulger was equally terrifying and fantastic to watch unfold. The film was a bit unbalanced, but Depp made the film completely worthwhile. At this point, Samuel L. Jackson and Quentin Tarantino are a pair that could, potentially, not do any wrong. Thankfully, The Hateful Eight continues the string of great Tarantino/Jackson characters. With great, memorable and quotable lines that are said in the almost iconic way that only Samuel L. Jackson can deliver, Major Warren, was one of the best characters in the film. As for Kurt Russell, the mustache alone gets him a spot on the list, but it’s the chemistry he has with Jackson that opens up the film is what really makes John “The Hangman” Ruth really shine. Matt Damon is always reliable and his performance in The Martian was no different. His Mark Watney was equal parts funny and tragic character that gets stranded on Mars when his team thinks he’s dead. The resolve of his character is extraordinary and Damon was able to bring the character to life in such a way that only Damon could. If Michael B. Jordan wasn’t a household name, he is now. Jordan’s portrayal of Adonis Johnson, aka the son of Apollo Creed, is one of those performances we can connect to in our own way and one that probably doesn’t seem like much at first, but eventually you’ll see the nuances in the performance after. Michael Fassbender tackled one of biggest individuals in history and one that changed the way the world is today. What Fassbender was able to emulate in three different times of Steve Jobs’ life was great to watch. But, if I had to pick, I think his Macbeth was his better characters of the year. He plays Macbeth as the tragic figure I’d always imagined him being and the intensity he was able to bring was so great to watch. In what is easily his breakout performance, Moore is definitely someone to look out for in the future. He’s already signed on to star in the Netflix show The Get Down, and if does anything as close to what he does in Dope, then I’ll be watching. Mann surprised me here. I’ve only seen him in one other thing, Hansel & Gretel: Witch Hunters, which I forgot he was in until I looked it up and remembered who he played. However, he’s come a long way from that. His character in the book adaptation of a new favorite book of mine is great. The build of his arch to the end is fantastic to watch and I can’t wait to see what he does in the future. Not everyone can pull off playing duo roles, but Tom Hardy managed to pull it off, and not just any two people either, but real-life gangsters Ronald and Reggie Kray from London. Hardy was able to play the twins rather well and give them their own personality to the point that you knew forgot which one was which. Steve Carell has slowly been moving to more dramatic roles it feels like, and they are great. He continues with Mark Baum in The Big Short. His character has his own special and personal arch that leads to a heartbreaking scene that is done so well. Alicia Vikander, yet again, is someone you should look out for in the future. Her performance as Ava, a robot with Artificial Intelligence, is a standout performance and not just the best female performance of the year, but one of the best performances of the year, period. Poehler and Smith get one credit because they worked so perfectly off each other it made Inside Out work so much better. Their characters are so different and their adventure was done wonderfully that I couldn’t help but fall in love with them, especially Sadness. Brie Larson has been in Hollywood for a few years, but it seems like her star has rising within the last few years with films like Short Term 12, 21 Jump Street, and Don Jon (also as Envy Adams in Scott Pilgrim vs. The World), but it was Trainwreck that probably put her front and center by playing Amy Schumer’s sister in the film. However, if you haven’t seen Larson in anything I’d recommend starting with this. Larson gives a great and heartbreaking performance as Ma and while her co-star Jacob Trembley steals the film, Larson’s performance is equally as great. To say that Theron’s awesome performance in Mad Max was a standout would be an understatement. The movie may be called Mad Max, but make no mistake, Fury Road belonged to Theron’s Imperator Furiosa. She bought the right level of badass-ness, vulnerability, and leadership. I’d follow Furiosa into battle anytime. I don’t know where Disney, Lucasfilm and J.J. Abrams found Daisy Ridley, but thank you. Ridley does fantastic as Rey giving us a great well-rounded female character. I can’t wait to see what Rey brings to the new trilogy and what Ridley brings next in her career. It’s been a while since I’ve actually seen anything Jennifer Jason Leigh has been in, and now I feel a bit ashamed, because she was great in this. While her character sometimes hides behind and could get lost in the shuffle of the other characters, anytime she stands out is great. More specifically, there is a scene in the middle of the film that involves her singing which is just mesmerizing. Jennifer Lawrence is pretty much always reliable, and she continues here with her third film with David O. Russell. Although Joy is a mixed bag, Lawrence is what holds the film together as a single mother trying to get her invention – the miracle mop – to become a huge success she knows it can be, but she’s also dealing with the craziness of her family. Chastain has always been great in anything she does. However, there was something about her character in this that was completely different from what I’ve seen from her. She does whatever it takes to protect her family, even if that pisses off her husband who was played by Oscar Isaac. Kate Winslet is probably one of the best unspoken heroes of Steve Jobs. Her character could be described as nothing more but a background character that has her moments, but what Winslet does with the role makes her, arguably, the heart of the film. She’s a constant in Michael Fassbender’s Steve Jobs, and one that is always there to calm him down. Lady Macbeth is not an easy character to tackle, but leave it to Marion Cotillard to put on a damn awesome performance. Cotillard played Lady Macbeth like I’ve never seen the character played before and I just can’t get over how awesome her performance was. McCarthy had a bad string of movies, but thankfully Spy brings her back to the form we all knew she could be: great. Gone are the fat jokes and what have you and welcome the funny, strong and badass female character. If anyone knows how to bring the best in McCarthy its Paul Feig, so give Spy a chance, it will surprise you. Cooke has a good run in the A&E show Bates Motel, so getting to see her in the big screen was a nice to see. Cooke may not have the strongest performance out of the women here, but there was a few standout moments that I really loved that made me put her on the list. If you’re going to break out onto the scene, what better way to do it then in a Mission: Impossible film and working off Tom Cruise? Well, Rebecca Ferguson did just that and even stole the film from Cruise at times. Ferguson has done small things here and there, but Ferguson should be a household name after this. Technically, this is a 2014 movie, but I didn’t see it until the first week of January after I had done my list. But, I can’t make a list without talking about Witherspoon’s performance in Wild. This was something really different from what she’s done in the past and you could see she went all in with this. Definitely should check this out if you haven’t. Saorise Ronan is always giving great performances, but I feel like she goes under the radar a lot of the time. Hopefully, Brooklyn with all its acclaim can put her even more in the forefront. Ronan’s performance in this film could be one of the best of the year and one that is very relatable, which is why I really loved the film and her performance. I’ve never seen Tessa Thompson before, but what a way to make an impression. Her character of Bianca was much more than a typical girlfriend/love interest. She had her own storyline and was a nice counter-balance to Michael B. Jordan’s character. Known more for being in Die Antwoord with Ninja (who also stars in Chappie), Yo-Landi Visser absolutely nails her first movie performance. I was quite surprise that she was able to perform and hold her own with Dev Patel, Sharlto Copley and Jose Pablo Cantillo. If this is her only performance, then it is a damn good one to go out on. I put these two together because the film is elevated to a new level anytime they are onscreen, and it helps that they are always together in the film. Gleeson probably gets more of the credit, but no way they film or Whishaw work without Gleeson’s Tom. Jason Statham is known for being the tough badass that spits out cheesy one-liners, but Spy not only plays with that notion, but shows that he can be funny as hell too. Seriously, this is probably one of the biggest surprises of the year for me. Jeff Daniels is always reliable, and his performance in Steve Jobs was a shining example of that. Daniels pops in the at the beginning and then disappears, but when he shows up in the middle of the film with his scene with Michael Fassbender, the whole film gets elevated to a new level. That scene they have is easily one of the best of the year and one of my favorites. It’s great to see Daniels getting more work and I hope it continues. Jeremy Renner got the short end of the stick in the first Avengers movie, but you learn from your mistakes and Joss Whedon along with Marvel gave us a better version of Clint Barton/Hawkeye. The character is given a better arc this time around and, dare I say, some of the best lines in the movie. I hope they keep that up and can’t wait to see what they do. Speaking of great lines and can’t wait to see what they do with the character is Paul Bettany. Finally – at least physically – Bettany joins the Marvel Cinematic Universe as fan-favorite character, The Vision. Bettany has been in the MCU since day one as the voice of Jarvis, but now he’ll have to do much more and Bettany is the perfect choice to do it. Although he didn’t have a huge role in Furious 7, there was something about Kurt Russell’s mysterious government agent, Mr. Nobody that stuck out. He brought his charm to it and it was nice to see Russell have some fun again on the big screen. We can look forward to Russell coming back in Furious 8 – at least we can assume that he will. Mark Rylance is one of the actors that has been in Hollywood for a while, but I’ve never heard of him before. But of the things I’ve seen of him recently, he’s been great. It’s also not easy for someone to steal the spotlight from Tom Hanks, but Ryalnce did that in Bridge of Spies, in fact the film worked better with the two of them working off each other. Also, what Rylance was able to do with that cold opening was tremendous. I’ve been a huge fan of Mark Strong for years and I pretty much love anything he does. Kingsman is no different. The mentor/teacher role of Merlin was yet another fantastic role that shows off Strong’s comedic/sarcastic chops, but also – in particular one scene – dramatic chops. I don’t think any of us ever thought we’d see Michael Douglas in a Marvel film, let alone an Ant-Man movie. But, here we are and what a role and performance he gave. Like I said about Benicio Del Toro, Michael Pena is one of those actors that is always great in everything he does, but it feels like it wasn’t until recently that his star is more on the rise and people are finally starting to see that he has tremendous talent. Pena as Luis in Ant-Man was hilarious and had me cracking up every time he was onscreen, to the point that I wish they bring him back for the sequels. I’ll put these two together only because they are two different sides of the same spectrum. Heller was greedy, manipulative, and saw an opportunity to take advantage of N.W.A. Suge Knight on the other hand used intimidation and brute force to get what he wanted. Giamatti is great in anything he does really and his portrayal of Heller was nothing short of great and even heartbreaking. Taylor’s Knight was damn scary and worked for the scenes he was involved in. Never have I felt so connected to a character that I was okay with tearing up in a theater and not caring. Bing Bong was definitely the standout in Inside Out and Richard Kind was the perfect person to give the character life. Simon Pegg has been a nice addition to the Mission: Impossible series since he was first introduced in part three. Pegg’s Benji has been a great comic relief, but has been showing real signs between the last two films that he can play the badass spy too. Sylvester Stallone has never been better. Seriously, Stallone shows up and gives us one of the best supporting roles the year and potentially his career. Stallone’s Rocky Balboa this time around is much more real and we get a much bigger sense of how he’s become this we last saw the character. His chemistry with Michael B. Jordan is tremendous and one of the only reasons the film works. Ryan Gosling is pretty much always reliable and it’s not different here. Gosling is always pretty damn funny in this too. Anytime he’s on screen it’s hilarious and when he’s missing you sense it. Walton Goggins is always a great supporting actor and this is no different. It feels like Goggins can play anything any director throws at him. Goggins always bring a certain charisma, swagger and charm and his Chris Mannix is pretty much the perfect role for Goggins. Brie Larson didn’t have a lot of screen time in Trainwreck, but the time she did she left her impact. One particular scene was one that involved her Colin Quinn, playing her father, and Amy Schumer playing her sister. It was a rather powerful and short scene that really showed the kind of character Larson was playing and one that I wished was pushed out more in the film. Elizabeth Olsen is a fantastic actress that probably doesn’t get as much credit as she should. So I was pretty happy that she would get extreme exposure in not just a Marvel movie, but playing one of the most powerful comic book characters ever, and a fan favorite at that in Wanda Maximoff/Scarlet Witch. The accent wasn’t perfect, but she still bought the feel of the character to life. All hail Jessica Chastain! Seriously, Chastain is one of the best actresses working on Hollywood today, and her performance in Crimson Peak was one of the best roles I’ve seen this year. What Chastain was able to do in being so cold and in limited dialogue was a sight to see. Jessica Chastain has always been one of my favorites, and with Lucille Sharpe under her belt now, I’m a fan for life. I don’t think I’ve ever laughed as hard as I did in a drama than with Julie Walter’s Mrs. Kehoe character. Her character didn’t hold back and she’s really the only character that stays the same from beginning to end. Malin Akerman is one of those actresses that I think no one really takes seriously, but every once in a while she’ll do something that really does show her talent, and The Final Girls was one of those roles. Her duel role as Nancy the mother and Amanda the movie character was equally funny, tragic and great to see unfold on screen. The Final Girls could have been an even more cheesier meta horror-comedy, but it came out being a more heartwarming story than I thought. Miranda Hart is a British comedian that I believe got first time exposure thanks to Spy (if I’m wrong about that forgive me), but what a way to get it. Playing Melissa McCarthy’s friend, Hart was hilarious is this and got some big laughs. What’s in the water this year, man? Child actors made their statement this year and Oona Laurence was one of those with her short, but sweet and powerful performance as Jake Gyllenhaal’s Billy Hope’s daughter. There was something about her performance that really hit me that stood out more than the other child actors this year. Raffey Cassidy is new to the scene, and make no mistake, she was a scene stealer in movie that stars A-lister George Clooney and another up-and-comer, Britt Robertson. However, it was Cassidy that shined and was the breakout star of the film, maybe even the year. This young lady has a huge career ahead of her. As much I liked Ed Harris’ villain character, it was Common who took the real villain spotlight. Common has a great presence onscreen in any role he takes, but his hitman character in Run All Night, was one of the best characters I’ve seen him play. Dave Bautista may be known for his work in the WWE, but has been able to break out of that mold by showing the man can act! And what better way to breakout even more onto the scene and with different crowd than by playing a James Bond villain. The role seemed to be tailor-made for Bautista and that train fight sequence was worth a place on the list. It’s not every day that we see Hugh Jackman play a villain, but when we do it is a sight to see. Not only does Jackman use his natural accent, he sports a sweet looking mullet while trying to take down the lovable robot Chappie. Jason Statham has played a bad guy before, but this villain is pretty different from the others. One, he’s driven (pun intended) by a different desire and is willing to do anything to do his worst. Second, he’s damn good at being bad. One of the things that makes Krampus and his creatures memorable is that they are done practically, and not done the easy way with CGI. Although, one of them and Krampus for one particular scene is done with CGI, it doesn’t really hurt the creatures and Krampus’ look. I love that director Michael Dougherty went with practical effects instead of the easy route of CGI. Although Boutella’s Gazelle is the standout between the two villains, the two worked great as a pair. At the same time, Jackson isn’t playing his typical type of villain. Jackson gives Valentine a bit of a lisp and cockiness to offset Gazelle’s tough, killer instinct, and cool swords for legs. Walton Goggins is one of my favorite underrated actors working today. Any time he pops in a movie I’m drawn more to his character and what’s going on. While his character doesn’t get a ton of screen time until the last act of the movie, it was still memorable enough for me to put him on the list. When Tomorrowland was first announced, and even until now, it was shrouded in mystery. No one knew it the hell the movie was going to be about and that didn’t stop many from throwing in their ideas into the mix. Once the title was revealed, it led to some confusion. Would the movie be about one of the main areas in Disneyland? Or would it build on some connection to it? Well, sort of both, but only loosely. 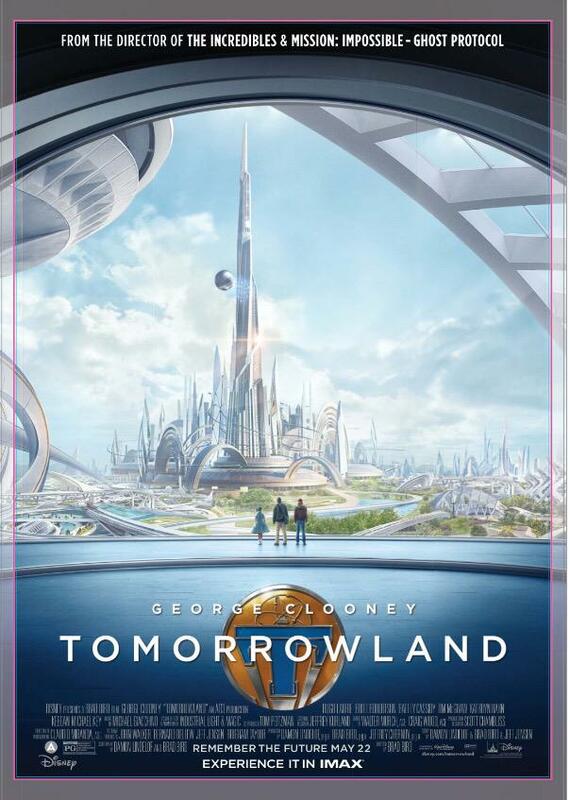 Tomorrowland starts with the story of a young Frank Walker (Robinson), a young and brilliant inventor who goes to 1964 World’s Fair to try and get his invention into a contest for inventors. However, one judge played by Hugh Laurie, is impressed by the invention but when he finds out it doesn’t really work he turns him away. But, Frank’s imagination catches the eye of Athena (Cassidy) and tells him to follow her and judge down a ride, which ends up It’s a Small World. You can probably assume what happens from there. We then fast forward to the present where we are introduced to Casey Newton (Robertson). A young optimist who sees the good in the world and wants to change the future by asking how we can fix it. As seen in the promotion material, Casey ends up in jail after an incident and finds a pin with a ‘T’ on it. When she touches it, she ends up in a grassy plain with a futuristic city in the distance. She starts to question whether it is real and tries to find answers to where she goes when she touches the pin. Eventually, she ends up at the adult Frank’s home, of course the adult Frank is played by George Clooney. Frank is no longer a happy-go lucky inventor, but rather living in exile and seemingly bitter. He tries to tell Casey to let it go and forget about what she saw, but Casey still wants to go. The two eventually work together by force to get to Tomorrowland, because they are being chased down by robots. 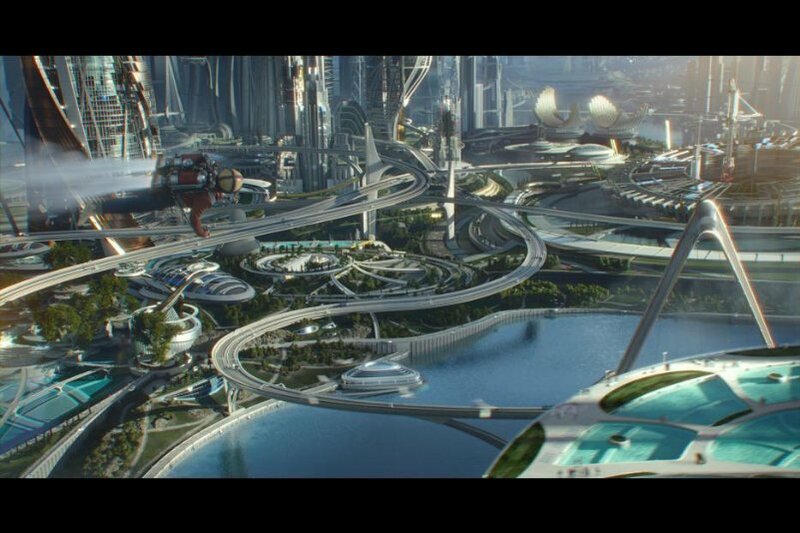 What happens next is a big adventure to Tomorrowland, but Casey finds out that she is actually part of a larger plan. For what it’s worth, Tomorrowland is pretty fun. The effects are great, and Tomorrowland itself was highly impressive to dive into. Casey gets to “explore” it at one point and it is something like we’ve never it before. It really does feel like all the smartest people in the world got together and made a world that can thrive off their impressive creations. However, the bad thing is we don’t get to spend a ton of time in Tomorrowland. In fact the movie is more about the adventure to get there and the mystery surrounding it. Which unfortunately is one of the negative things about Tomorrowland. The film does have so great action sequences, one that involves the escape from Frank’s farm home, which is seen in a lot of the promotional material. But, for me, one of the best is one that happens earlier in the film that involves Casey and Athena. I’ll leave you guessing how Athena shows up in the present until you see the movie. It’s not all that surprising that the action looks great either, after all Brad Bird did direct Mission: Impossible – Ghost Protocol. 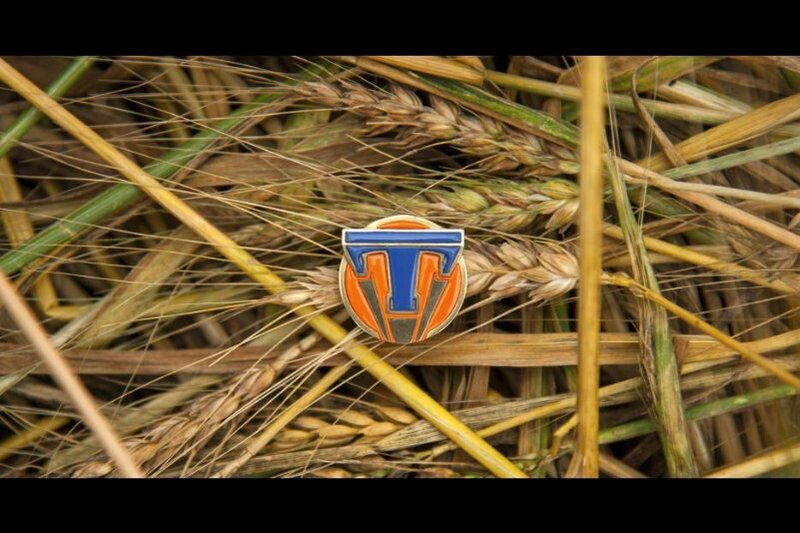 However, the best thing about Tomorrowland is the cast. Britt Robertson’s Casey is likeable, smart, a bit of a rebel, and easy to invest in as she is thrown into this mysterious world just like us the audience. Clooney seems to be enjoying himself playing a begrudged character that wants nothing to do with the situation, however he sees Casey’s will and imagination and starts to see there could be some hope. But the real standout in the cast is Raffey Cassidy as Athena. She is crucial in bringing together Casey and Frank, and later on in the film as well. But what makes her a standout is how she plays her character and how she plays off Robertson and Clooney. She holds her own against a top actor like Clooney, at the age of thirteen. There is a storyline, that I won’t spoil or even hint at, but you’ll know it when you see it, that I was surprised that writers Brad Bird and Damon Lindelof went into. It’s a touching and heartfelt storyline I wish they went more into, but what they did with it was enough to serve the purpose of the scene and why the events happened the way they do. Two of the bad things about Tomorrowland for me, is the “villain,” and the heavy-handed theme and message that it is putting forward. I put villain in quotation marks because it is one of the weakest parts of the whole movie and labeling the character a villain is a bit of a stretch. The motivation is interesting and you could arguably go with it because it makes sense in a lot ways, but the way it’s presented was not good at all. Also, it was a waste of the character, especially since it happens so late in the movie. 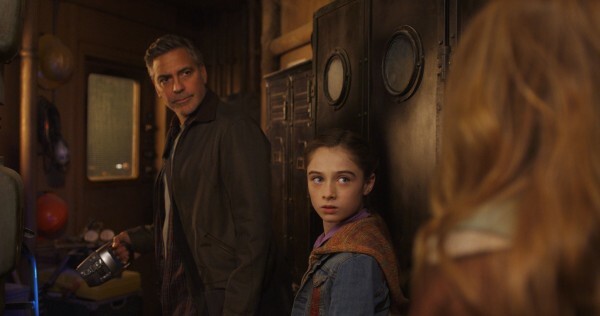 All in all, Tomorrowland is a mixed bag, but for the most part Tomorrowland’s message is clear and a message I can get behind, even though it’s heavy-handed. 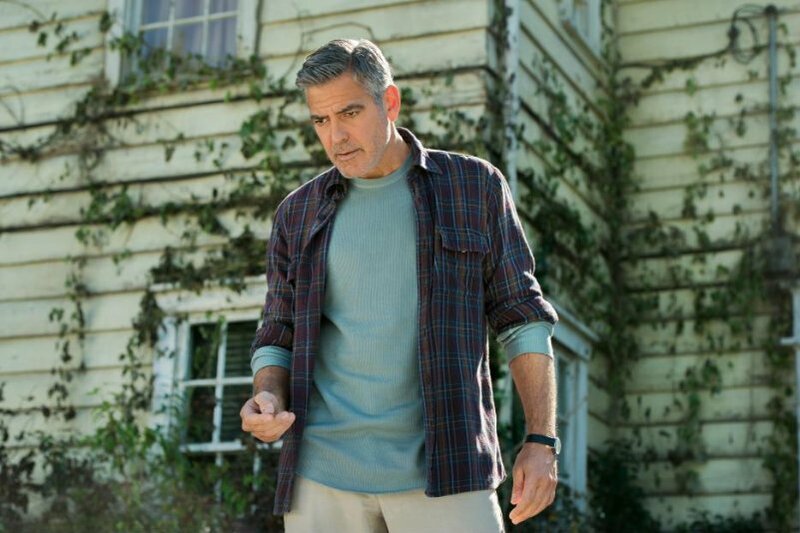 The trio cast of Robertson, Clooney and Cassidy keep the film going, with Cassidy being the highlight of the cast, and keep the film going to where you want to see where everything is going and how it turns out. 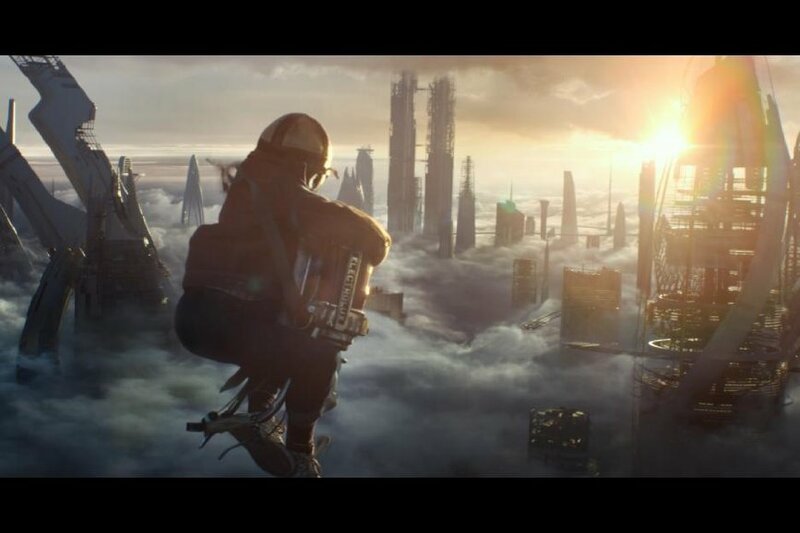 Tomorrowland isn’t perfect, but you will have fun.